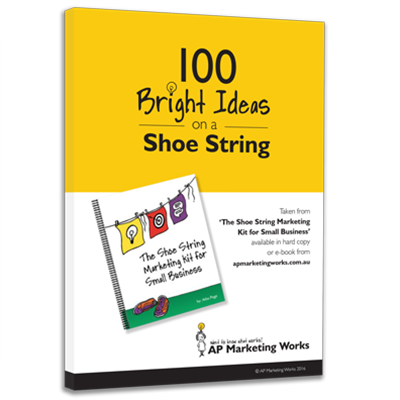 I received some recent publicity upon the release of The Shoe String Marketing Kit for Small Business book. It’s interesting the different angles that can come from the same press release and the misinterpretations that can come with an interview. The first read of an article about yourself is always a tense moment. In generating publicity there is always an element of risk that your message might be misconstrued. The upside is that you get called the Sunshine Business Guru and can quote them on it! A big thank you Amanda at Greenlight PR.